So telling the truth seems like a funny subject for a podcast. But I’m not, this is not for you and your general life. Although it’d be nice if we are like good old Cinderella. But I mean in business. Now in business, too many businesses are, they are not dishonest, but they are not exactly truthful all of the time. It is what, some British politician a few years called, called in economical with the truth. And the problem with that is that you are going to get found out. Now it could be, for example you could be a software company, and you may have discovered a bug. And you hope to get it fixed and get the new update out there before anyone discovers the original bug. And then fantastic, eh? No one knew. But it could be in your restaurant. You could have had issues in your kitchen, and whilst everyone’s out there dining, you don’t want them to know the bad news in the kitchen, so you just carry on. Hopefully they are blissfully unaware, hopefully it carries on and you can serve. And whatever is going on in the background, is never found out. But in reality, these things always come out and I think we have the old rose coloured spectacles. We don’t think anyone would ever notice and if they, or if they found out, we also think the worst, if they found out, it will be disaster. But in this modern age of social media, of online ratings and reviews, and things like that, I mean at the beginning there are, I ask for a review. You might come along and give me 1 star, and tell me I am awful. I can’t get rid of the review. It’s there. Once it’s there, it’s out in public and gosh. So a lot of people won’t even ask because they are worried of what others may say. But in this modern age, if people are thinking it, then they are going to say it. If one person says something, something about you, then 10 are thinking the same. But I would challenge you to fess up to anything. It can be small. You could be, for example you could be a car workshop and you may have found one of your mechanics was being dishonest with their work. And you fired them. Now you are going to hope that goes away. You are not going to mention it because you are worried that people who have paid for a service, may come back and question what they paid for, maybe ask for their money back. However, how unusual would it be, how would it stand out if you actually came clean and said, ‘Dear customers, recently we found one of our mechanics was not standing up to our high standards and his/her work was just not up to scratch. We found that they weren’t doing what they were supposed to, etc., etc. and that person is no longer with us. Now how do you think that would seem, that would feel to the person receiving the letter? Of course a lot of people are going to think, oh that’s awful. How many others are there? But when they stand out to think wow. They’re standing behind, what you’re saying is if that person did a bad service, you are going to redo it. How honest, how refreshing. And that’s the thing, that’s the difference. The transparency, the openness, the honesty will stand out. People are not silly. Now if rumors get around, rumors get way out of control. If you have pre-empted any rumors, then they don’t get out of control. You can always take the moral high ground because you’ve always been honest. I hope this makes sense because I am not accusing you of being dishonest. But this will also have the same with your staff. Okay. Internally as well. So business is with customers and business is with your working colleagues and with your staff. Be honest and upfront at all times. 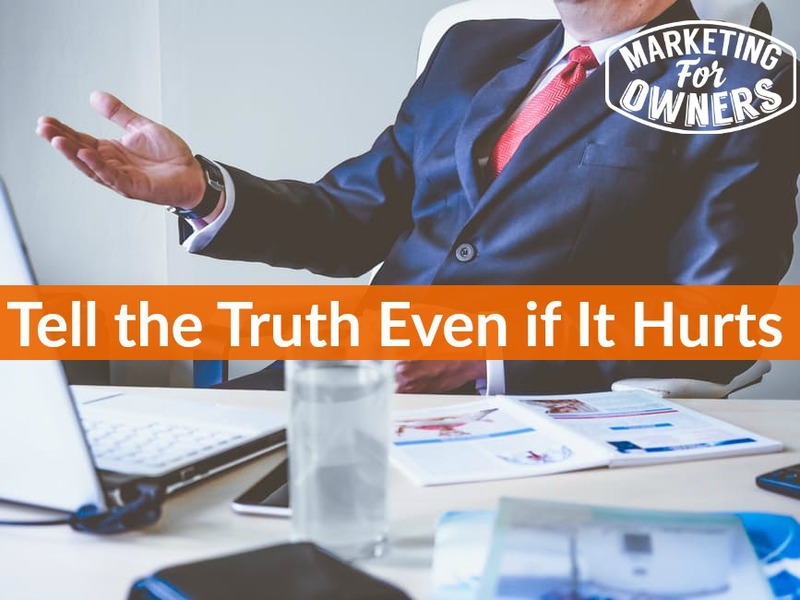 This adds to the company culture and if your staff can see you being honest and public to own up to problems or potential problems. In my business, I mean in fire safety, in the past there have been product issues and some of the smaller makers have felt that if they just brush it under the carpet and hope it goes away, they hide it in the background, they hope no one else finds issues. Then it will go away. Whereas larger manufacturers have done product recalls. Personally and at huge expense, but for my company, the reason we use one of our particular manufacturers and we don’t go for the low price that everyone else keeps offering. Companies that are great, it’s because I know that if there’s an issue they will stand by the product. And they will stand by my customers and support in getting that fixed. The others, the smaller ones probably wouldn’t. And that gets my business. Do you see how this can have that knock on effect? That gets my business. It’s the same with customers. People who are honest are appreciated. And like I said, it, develops that company culture, the staff and your working colleagues also feel better for it. Because don’t forget not everyone has the same opinion. If you weren’t quite telling the truth, others behind the scenes may not agree with that. And rumours may start internally. And you don’t want that. That could be even worse. Company culture is essential to building a company that works. And the company that grows because you want everybody on your side. You want your staff on your side, but you also want your customers on your side. It all, this all folds back into having a why. Alright. When you have a why. Why we are in business? Why are we doing this? Why is it needed? Why did I feel compelled to start this? Why am I delivering it? Why do you need this? Then it all goes with that company culture, and having everybody on the same page. I hope that makes sense. It will work, if you think, look at a lot of those modern businesses and look at the way they are compared to ones from the old, from the old days. It’s very different. Okay. 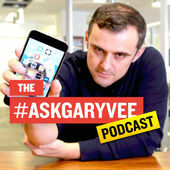 So today is a Thursday, it’s time for a Drive Time Podcast, and I am going to recommend that you listen to The Ask Gary Vee Show. Now this is available as video and as audio. And it’s in short bursts. It’s very well done. Gary Vee is Gary Vaynerchuk. He is one of the leading social media people online really for business. And he’s built successful businesses before social media and with social media, and post social media. He’s become very very wealthy, but he’s very forthright. But he’s got fantastic advice. Tomorrow in our Ones to Watch. Strange to call them ones to watch because he’s been around a while, but it’s Cross Crossley, also known as Uncle Cross. I would strongly recommend this as well. He has an opinion. But this is one of those podcasts that you will listen to, and then, about 5 minutes after, you will listen to it again and it will sync in. I recommend it.